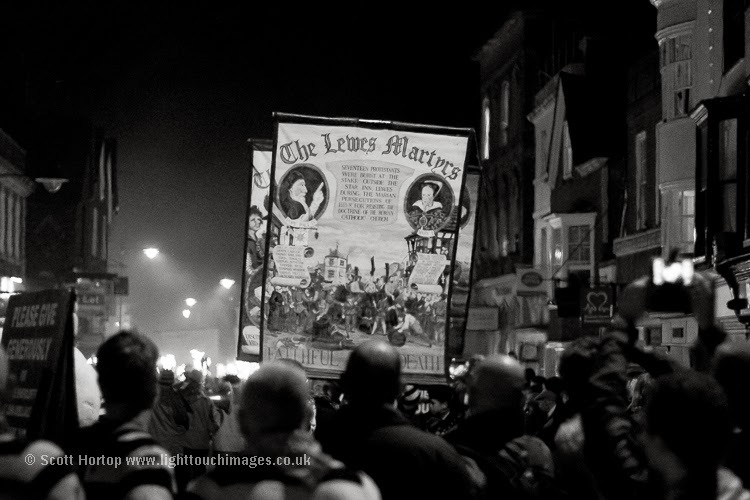 The annual trek from Brighton to Lewes Bonfire Night. The huge queue to get on trains, the sealed off streets from the station dispersing the crowds, the seeking of a vantage point - all part of what is now an annual experience that does not cease to amaze. 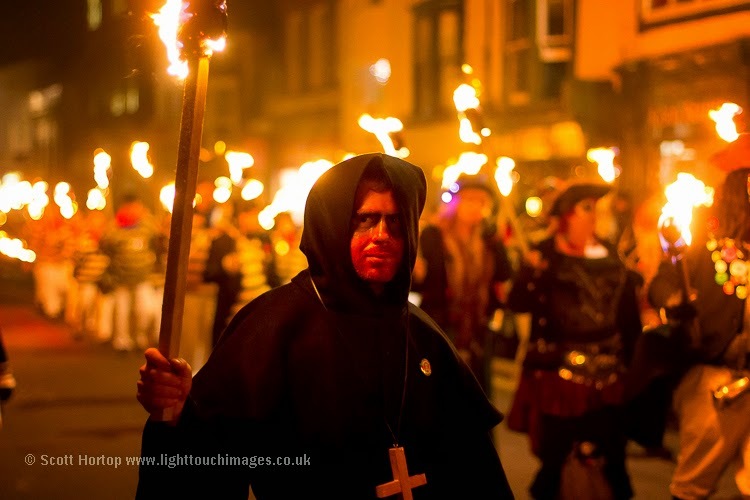 Thousands in costume in processions, thirty to forty thousand on the narrow streets. 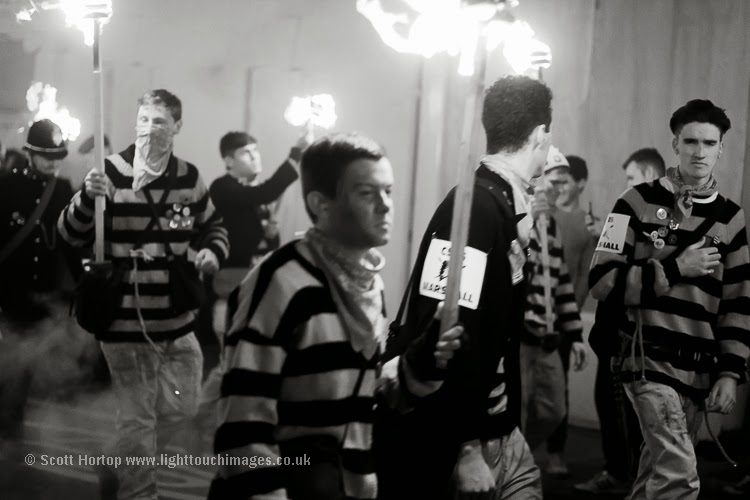 How people remember the 5th of November…. But it’s about a lot more than that man Guy Fawkes. 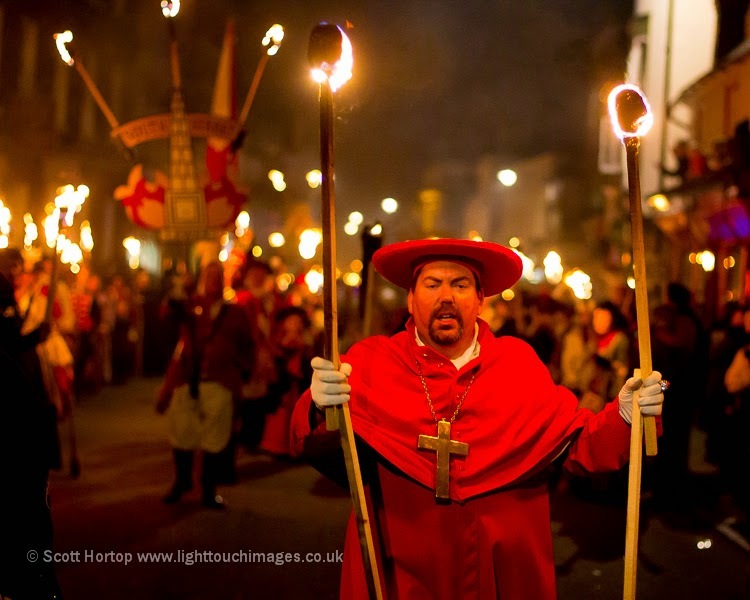 The 17 protestant Lewes Martyrs were burned at the stake outside a local inn long before the gunpowder plot came about and now many catholics will stay very distant from this town on the evening of this drama. 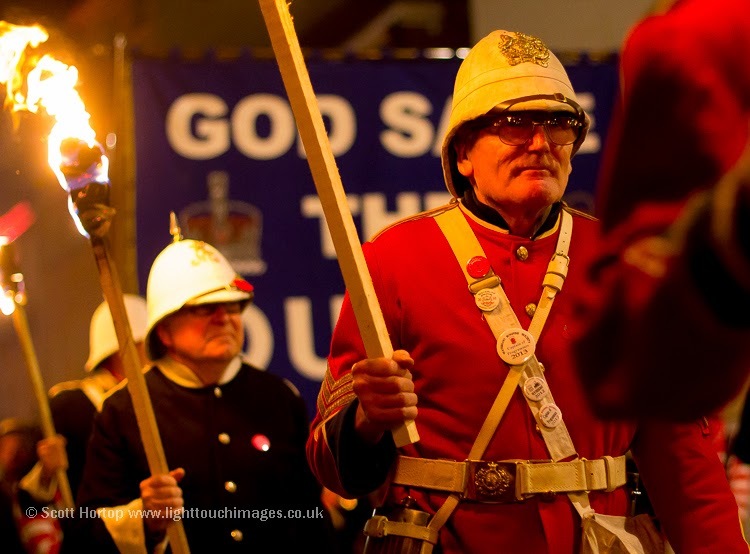 The six Lewes bonfire societies remember more than religious upheaval. 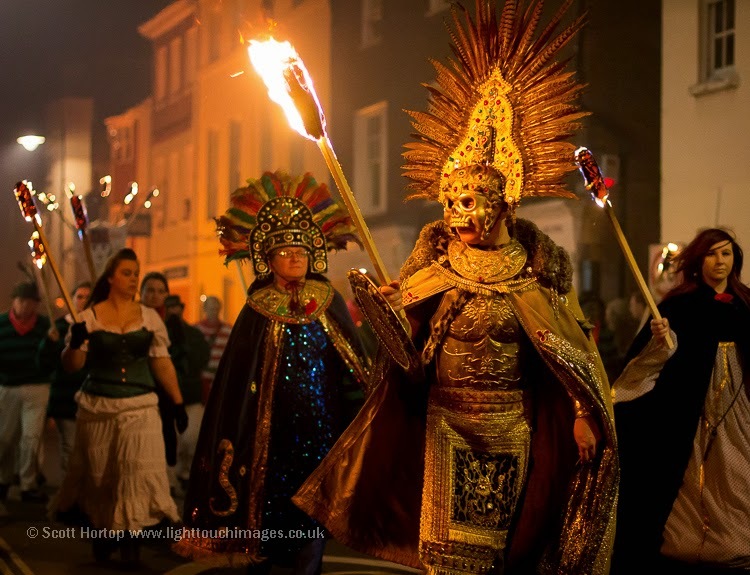 The diversity of the costume is amazing as is the huge investment in authenticity. This is no amateur costume town parade; this is full on theatre. It makes me wonder what the Venice Carnival must be like in comparison. I have not seen it but from the outside it seems pompous and pretentious - I could just imaging some of The Commercial Square Bonfire Society smugglers infiltrating the canal system armed with pockets loaded with their vicious bangers to shake up their catholic foes! 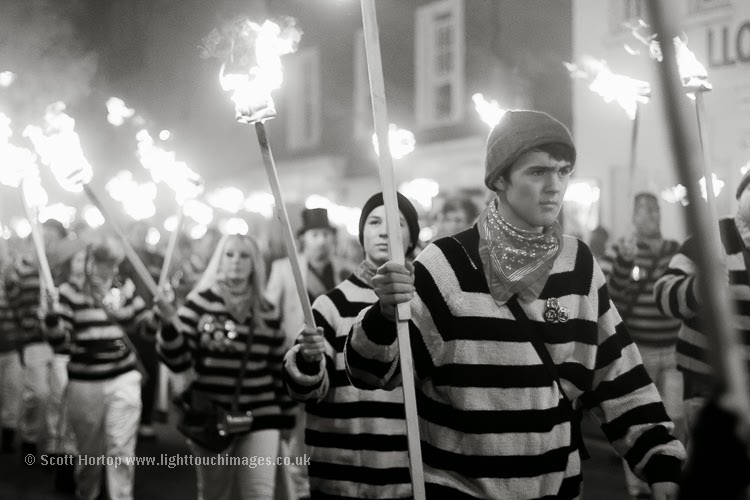 > More Lewes Bonfire Night photos.